Information about the current partners program and list of current partners can be viewed at the main partners program page. For more information on the Debian Partners Program for the year 2016, visit the 2016 Partners Program. Hewlett Packard Enterprise (HPE) provides hardware for port development, Debian mirrors, and other Debian services (current HPE hardware donations are listed in the Debian machines page). HPE is one of the largest computer companies in the world, providing a wide range of products and services, such as servers, storage, networking, consulting and support, software, and financial services. Thomas Krenn has provided a new high-end server for the Debian cdbuilder service. In addition, Thomas Krenn is a regular hardware sponsor for DebConf or the Debian booth at LinuxTag. For information about Thomas Krenn's involvement in the Linux Open Source community, see http://www.thomas-krenn.com/linux. Thomas Krenn is Europe's leading online shop for server systems and high-quality hosting. They offer rack-mountable servers, silent and low-noise servers, storage systems and virtualization solutions. Thomas Krenn is the only hardware shop who delivers individual configured servers within 24 hours across Europe. And of course they support Debian as operating system on their servers! trustsec pays two Debian developers to work on the S/390 port of Debian and packages mainly related to Java. They host the web portal for Debian on S/390 and zSeries. They've paid and worked on the free Debian CDs for LinuxTag 2001 in Stuttgart. trustsec offers customer support, consulting and training for Debian on the Intel PC architecture (i386), PowerPC and IBM S/390 and is specialized on network security and software development with Java. Please e-mail info@trustsec.de for more information. credativ is an independent consulting and services company and since 1999 been offering comprehensive services and technical support for the implementation and operation of open source software in business applications. Our Open Source Support Center is always available, 365 days a year, around the clock. From the very beginning credativ has actively supported the Debian project and will continue to do so in the future. Furthermore many of our consultants are also Debian developers and actively involved in contributing to free software projects worldwide. Further information can be found at https://www.credativ.com/. Skolelinux is heavily involved in both the creation and testing of the new debian-installer and the localization of Debian. Skolelinux is an effort to create a Debian Pure Blend aimed at schools and universities. An easy 3-question installation results in a preconfigured system tailored for schools, requiring almost no Linux or networking knowledge. This includes 15 preconfigured services and a localized environment. Since 2002, Genesi has provided the hardware it designs and develops to the Debian community. Genesi also employs Debian developers to support their platforms. Genesi's Efika MX ARM-based computers are designed to bring low cost, energy efficient computing resources to the mass market. For information about Genesi's involvement in the Linux Open Source community, please visit www.PowerDeveloper.org. Eaton helps Debian in protecting its infrastructure from power issues, and employs a Debian Developer to work on UPS and Power Devices support through the Network UPS Tools and related packages. Eaton is a global technology leader in electrical components and systems for power quality, distribution and control; hydraulics components, systems and services for industrial and mobile equipment; aerospace fuel, hydraulics and pneumatic systems for commercial and military use; and truck and automotive drivetrain and powertrain systems for performance, fuel economy and safety. Eaton has approximately 75,000 employees and sells products to customers in more than 150 countries, with 2008 sales of $15.4 billion. Loongson and Lemote have provided several Loongson-based machines to Debian. For information about Loongson's involvement in the Linux community, see Linux at Loongson. Loongson processors are a series of MIPS-compatible processors. They have been widely used in many areas, such as desktop, server, embedded application, high-performance computing etc. For more information, contact info@loongson.cn. San Francisco based No Starch Press, publisher of "The Finest in Geek Entertainment," is co-publisher of the book The Debian System. The company is well known for publishing high-quality titles on a broad range of topics including alternative operating systems, networking, hacking, programming, and LEGO. No Starch Press donates US$1 from the sale of each copy of The Debian System to the Debian Project. Brainfood (previously called Novare) provides several machines to Debian, as well as hosting and server administration services. Brainfood is a technology solutions company whose goal is to work to produce an ideal result for a specific need, whether it's a website or an ongoing, distance-learning intranet application, or custom developed software. For more information, contact debian-contact@brainfood.com. Linux Central provides us with Debian GNU/Linux CD-ROM sets for trade show type events. These CD's help to promote Debian by getting the system right in the hands of potential and current users. Linux Central sells all the latest releases of Linux products such as commercial software, books, hardware, and versions of major Linux distributions. On Linux Central's site you can also find news and basic information about Linux, or sign up for a newsletter to stay updated on all newly released products or daily specials. For more information, contact sales@linuxcentral.com. RapidSwitch (formely Black Cat Networks) is a UK ISP specialising in dedicated hosting. It provides dedicated servers, managed servers solutions, colocation services and VPS virtual servers. It hosts a Debian development machine, caballero. The Oregon State University Open Source Lab provides hosting and administration services to the Debian project. The Open Source Lab is a focal point for open source development at Oregon State University and beyond. The OSL provides development, hosting and assorted other services to the Open Source community. Telegraaf Media ICT BV is supporting the Debian community by donating hardware, rackspace and bandwidth for the Debian server hosting alioth, arch and svn. Telegraaf Media ICT BV is running its internet infrastructure (appx. 200 Intel based servers) mainly based on Debian GNU/Linux servers; the sysadmins are highly motivated Debian users and some of them also Debian maintainers. Telegraaf Media Group runs some of the most popular Dutch websites (http://www.telegraaf.nl, http://www.speurders.nl and http://www.dft.nl) as well as the two biggest newspapers in The Netherlands. man-da.de GmbH is the backbone provider of the Metropolitan Area Network Darmstadt. It is supporting Debian by hosting several debian.org and debian.net servers as well as the buildd network for experimental and debconf.org machines. man-da.de GmbH is operating MANDA, a wide area network in the South Hessen region connecting educational and research organisations to a high speed redundant network ring and providing internet access. The company is owned by TU Darmstadt and University of Applied Sciences Darmstadt and in addition to operating MANDA it is also providing IT consulting and IT services to both universities. Bytemark support us by providing hosting services and sponsorship for the Debian Conference. They are a leading Internet Service Provider (ISP) in the United Kingdom and provide scalable, powerful and affordable hosting with lots of geek friendly extras as standard. Debian GNU/Linux is deployed extensively within their network, and comes recommended as the Distribution of Choice to any new customer who's not 100% sure on what to pick. Bytemark are also well known for their expert and friendly support. 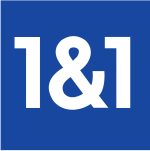 1&1 supports us by providing several servers in their Karlsruhe high-performance datacenter. 1&1 is one of the biggest Domain Registrars and Web hosting companies worldwide, with offices in Germany, France, Great Britain, Spain and the USA. Most of the over 5 million websites and other services managed by 1&1 are running on a Debian-based environment using several thousand servers. DG-i provides the Debian project with hardware and hosting services from their colocation sites via high-speed connection. wiki.debian.org received an IBM x360 server. Dembach Goo Informatik GmbH & Co. KG (DG-i) offers consulting services on IT infrastructures, software development and hosting services. DG-i supports clients in analysing their IT environment, developing individual software solutions and in adjusting client's applications for a seamless transition into hosted services. The company designs and supports individual operational IT concepts that meet the high quality standards especially in E-Commerce and financial services. DG-i holds the necessary hosting infrastructure in their Munich and Dusseldorf data centers. Mythic Beasts Ltd. supports Debian (and SPI Inc) by providing domain registration facilities. They are a UK based web hosting, domain registration and co-location company. The DebConf16 Sponsors are listed in the DebConf16 website.